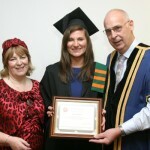 ICPPD – The International College for Personal and Professional Development was founded in 2009, by Christine Moran, having evolved out of New Beginnings Counselling Ltd, a professional, compassionate, confidential not-for-profit counselling service established by Tom and Christine Moran. New Beginnings provides a counselling service to individuals, couples and other professionals in the Midland area for almost twenty years now. Tom Moran is President of the International College for Personal and Professional Development. ICPPD was founded to develop training and education services, while allowing New Beginnings to focus on offering counselling and supervision services. ICPPD is a leader in the field of personal and professional development for members of the public and for professionals in the caring and helping arena. ICPPD attracts people who appreciate a holistic perspective to helping and healing. Courses at ICPPD are integrative and holistic with emphasis on creativity and scholarly activity. More and more clients of today are asking for an integrated holistic approach to matters of health and well-being. The ICPPD graduate practitioner will be there to meet this emerging need. ICPPD’s aim is to position itself as a key provider in this area and it has formally engaged with QQI and the relevant professional bodies, including IACP and NAPCP. These organisations have validated and accredited courses and programmes at ICPPD. 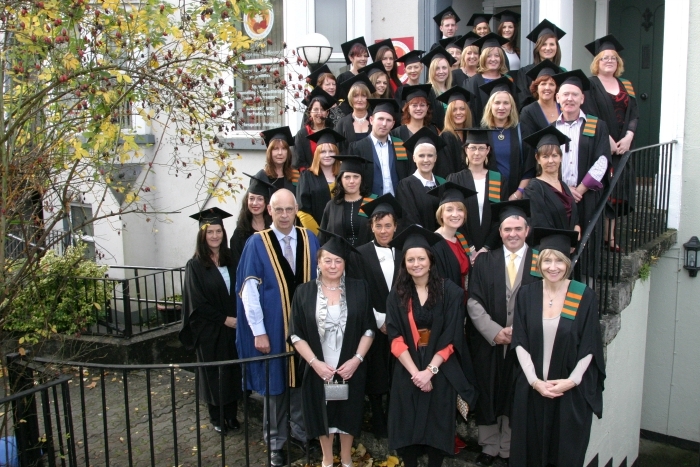 ICPPD believes that it has developed a reputation for the excellence of its current programmes, the relevance of its curricula, the success of its adult learners in achieving their academic and career objectives, the quality of its scholarship, research and creative activities, and its overall commitment to accessibility, lifelong learning, and progression routes. The College strives to provide high-quality, relevant, academically rigorous programmes in a learner-centred environment that emphasises experiential learning in collaboration with partners and associates. In addition to these academic programmes, to support ongoing achievement of professional body accreditation, ICPPD offers a series of CPD and supplementary Workshops to support learners and accredited professionals. ICPPD welcomes International Guests each academic year for additional support e.g. Gerald Corey and Marianne Schneider Corey, USA. Our logo is the circle in which are seven interlocking discs. The circle illustrates and symbolises the idea of a continuous journey, it is also the holistic emblem of inclusion, nurturance and it denotes community and interconnectedness. The interlocking discs depict the many aspects of the self. This supports the ethos and philosophy of ICPPD. Competitively priced payment programmes and payment plans available for learners. ICPPD, Athlone, central location with easy access to public transport. Contact: info@icppd.com for more information. Interviews: Thursday 25th April. Find out more.